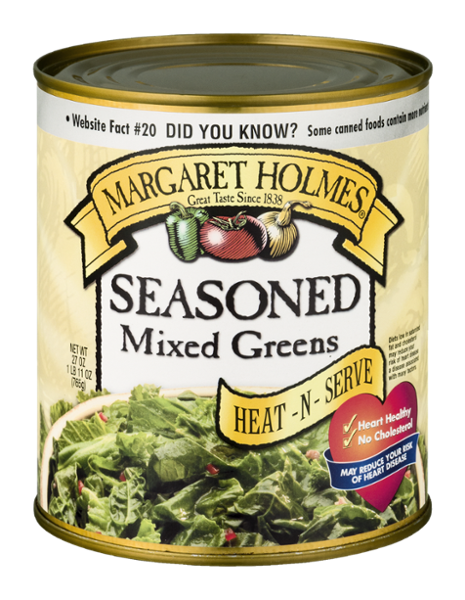 Margaret Holmes seasoned mixed greens are the perfect blend of mustard and turnip greens, harvested from nearby farms and canned within hours. They are naturally cholesterol and fat free, and contain over 100% of the recommended daily allowance of Vitamin A. In addition, our seasoned mixed greens are slow cooked with genuine Southern seasonings that make them delicious straight out the can!